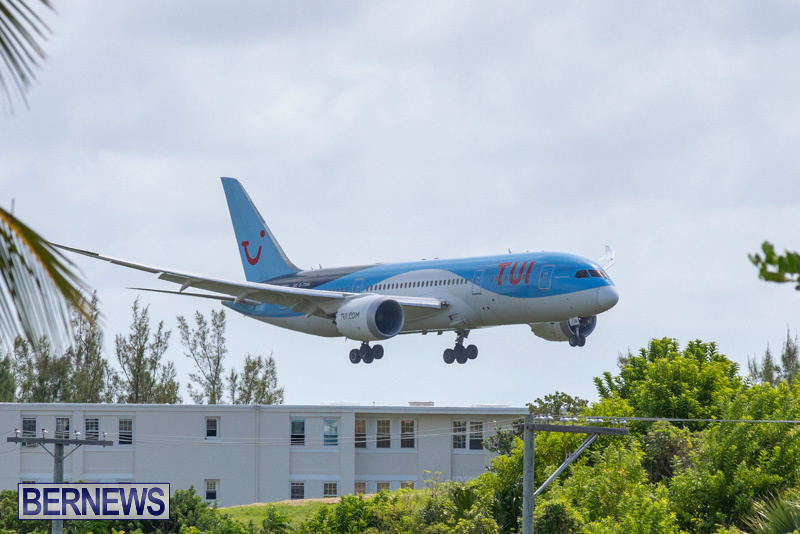 A TUI Airways [Thomson] flight diverted to Bermuda this afternoon [Sept 14] landing at the L.F. Wade International Airport with a sick passenger. Bermuda Fire and Rescue Service, ambulance and airport personnel met the arriving flight at the main terminal where the sick passenger was taken off the plane and transported by ambulance to King Edward Memorial Hospital for treatment. 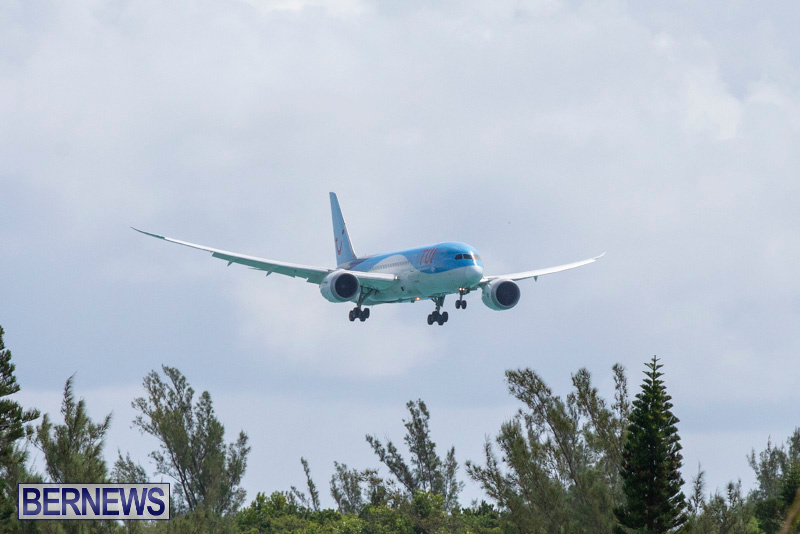 Thomson flight 796 took off from Birmingham International Airport in the United Kingdom this morning and was on its way to Cancun International Airport in Mexico. if you had ever been on a TUI (Thomson’s) flight you would understand why so many flights divert here with sick passengers. Are these air health emergencies evaluated before they simply land here and dump their cargo? I don’t mean to be insensitive, but one day one of these planes is going to land here with Ebola or some such issue and well… use your imagination! We wont have to worry about Bermudians outsourcing jobs any more! I was on this flight and sat directly behind the sick passenger. They were in a very bad way and turn very very fast. Flight crew were extremely good so praise to TUI/Thomson for their handling of the emergency. Very interesting to see a news report about it. would love to see some more pictures if anyone has them. just to update if any readers were wondering the passenger was on the return flight home in good health, not the best way to celibate their wedding anniversary.